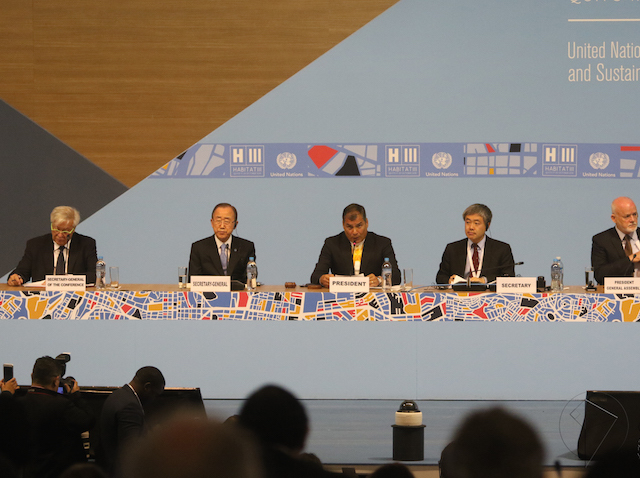 Habitat III, the third United Nations Conference on Housing and Sustainable Urban Development, officially began on Monday, October 17th in Quito. Members of the United Nations and urban leaders from around the world gathered for two Opening Plenary sessions on Monday. Both sessions focused around three main elements, as speakers strove to unite the participants toward implementing a strong, robust and effective New Urban Agenda. Joan Clos called for urbanization to be seen as an investment in the future, a strategy for transformation, noting that; “the cost of urbanization is minimal in comparison with the value it can generate.” Cities must channel urbanization to represent new opportunity for all—generating more jobs and opportunities for urban residents. Clos also addressed the need to rethink our mobility system and change the physical shapes of cities, to prevent urban sprawl and socioeconomic inequality. The future of urbanization must lead to equal rights and fundamental freedoms rather than inequality. While cities are expanding rapidly to accommodate a growing population, Peter Thompson, President of the UN General Assembly, said that “urban planning has not kept pace with urbanization.” He noted that one billion people live in urban slums where they lack access to water, sanitation and energy, and 75 percent of cities have higher levels of income inequality than they did 20 years ago, during Habitat II. In order to successfully combat this issue, the development community must utilize a “Master Plan,” composed of the Paris Agreement, SDGs and other important polices and action agendas, to transform our world. Post-Quito, the NUA will join this Master Plan, and its effective implementation will require the expertise of collaborative stakeholders. Previous global agreements, like the Sustainable Development Goals, factored large in discussions today, as foundational to the vision of the New Urban Agenda. At the forefront is Sustainability Development Goal 11, which focuses on sustainable cities and settlements. 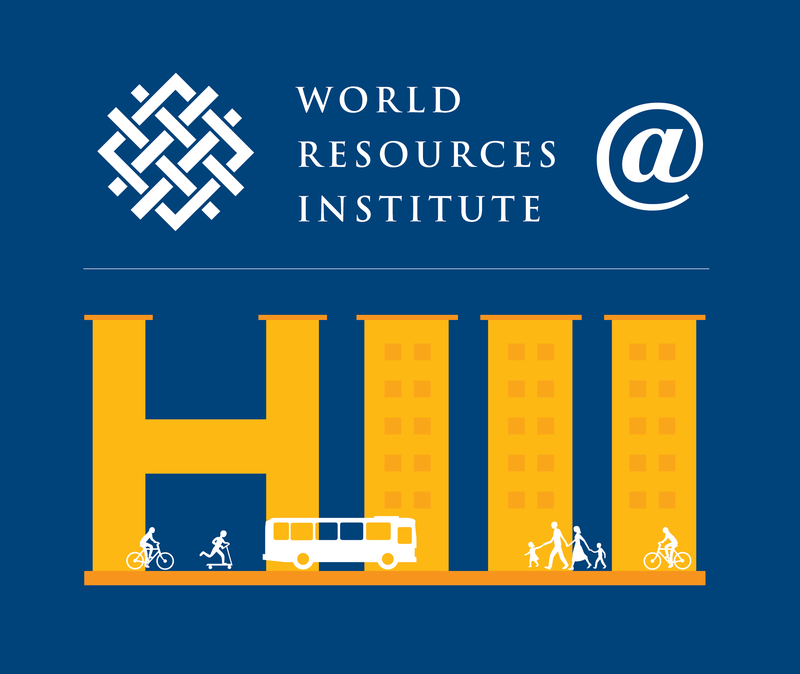 Habitat iii is heavily focused on bringing this vision for cities to fruition. Many participants in the second plenary session later in the day emphasized that the success of the NUA also hinges on robust implementation and monitoring schemes. The Minister of Regional Development of the Czech Republic outlined the path ahead as one; “from paper to actions and concrete steps” to make the NUA stick. Drawing from his experiences in city office, Mayor of Quito Mauricio Rodas spoke to the essential role of local officials in promoting sustainable urban development. He believes that local governments play a key role in empowering equality in cities. With an eye to social inclusion, local governments are able to address unique challenges to creating sustainable, livable spaces for all.